The primary responsibility of this role is to further MSI’s goal: the prevention of unwanted births, and its mission of ensuring an individual’s right to have children by choice, not chance. MSI has been working in Tanzania since 1989, providing voluntary contraceptive services to thousands of women and men. 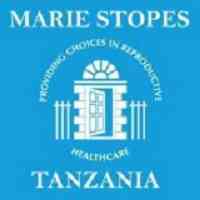 Marie Stopes Tanzania (MST) is the country’s largest specialised sexual and reproductive health (SRH) and family planning (FP) organisation, working in every region in Tanzania. Renowned for providing a wide range of high quality rights based SRH services to women, men, and adolescent, MST has played a crucial role in delivering essential FP and comprehensive post-abortion care (CPAC) services to underserved women, especially in rural areas. MSI seeks a qualified team leader for a five year, multi-million pound SRH programme funded by the United Kingdom Department for International Development (DFID). The programme will increase access to family planning for women, men, and adolescents in remote areas, rural settings, and refugee settlements through a combination of: (i) increasing awareness of the benefits of modern contraception; (ii) increasing access to quality contraception in the private and public sector; and (iii) improving the supply of quality family planning commodities. Gender-based violence prevention and response, will be included in the response. Gender will be mainstreamed. The project is strongly committed to leaving no one behind and the do-no-harm principle. As a result, MSI focusses all programming on hard-to-reach populations, including but not limited to young people, people living under 1.9 USD per day, and people living with disabilities. The team leader will lead the programme, ensuring timely and quality delivery of the expected results. The team leader is key member of the project leadership team and is responsible and accountable for ensuring the project is implemented efficiently and effectively, meets agreed targets, results, and key performance indicators (KPIs), and delivers good value for money. S/he will be the technical focal point and is expected to provide technical oversight for the day-to-day implementation of the project with the partner. S/he will ensure that donor standards are reached in the implementation of the project and that all technical specifications of the project are delivered to a high quality. S/he will ensure that the implementation of the project aligns with MSI’s global standards for clinical quality, project management and data management and verification. S/he will be responsible for stewardship and coordination of the consortium partner and will work closely with the programme leadership of the partner to ensure that the activities are aligned and implemented efficiently and effectively, to meet agreed country-level targets and deliver good value for money. S/he will provide strategic guidance to the partner, and will ensure synergy between the various work streams of the programme, avoiding duplication and ensuring that resources are deployed effectively to deliver on project commitments. S/he will manage the preparation, review and periodic revision of detailed country-level implementation plans, monitor and respond to partner performance and be responsible for driving communication between the partners in country, and across the programme. The team leader will steward the flexible and adaptive programme approach at a national level, monitoring effectiveness, environmental opportunities and challenges, and risk levels. The team leader will work with MSI’s DFID team in London to refine and adjust the programme approach to maximise opportunities, mitigate risks, and continue to deliver high impact. S/he will be the face of the project to the government, the donor and other development partners. The project works closely with the Ministry of Health at central level as well as regional and district level, and supports their targets for sexual and reproductive health. The Team Leader will work closely with the Ministry of Health to integrate the project into ongoing sexual and reproductive health initiatives and projects, and to engage in relevant policy dialogue and advocacy for a.
S/he will be the main point of contact with DFID-Tanzania and manage relationships within the partner. S/he will have ultimate authority on all aspects of the programme and will ensure that it is implemented with the highest standards of quality and efficiency, working closely with the country director, technical teams, and support teams. S/he will ensure that the programme meets MSI’s internal standards and donor compliance. This role is subject to the successful award of the contract and the project is due to commence in 2019. The role will be for a minimum of one year and may be extended for the full duration of the project (5 years). Foster a positive and encouraging team atmosphere, supporting team members to develop and excel in their positions. Ensure compliance with donor requirements at all levels and provide guidance to the partner on donor compliance. Effectively manage the project budget, ensuring efficient use of resources, and managing expenditure in line with the agreed budget. Ensure the programme adheres to guidelines in MSI’s project cycle management manual. Compile and submit regular technical and financial reports to DFID-Tanzania, ensuring all reports are reviewed by the required approvers internally. Ensure agreed workplans are adhered to and/or corrected when necessary. Representation of MSI and the project at strategic level, including with DFID-Tanzania, and engage and influence the Ministry of Health and associated institutions, bi-lateral and multi-lateral agencies, government institutes and authorities at central, regional, and local level, and other relevant stakeholders. Our organisation is committed to safeguarding and promoting the welfare of children, young people and vulnerable adults and expects all staff and post holders to share this commitment.